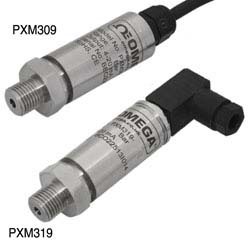 OMEGA's PXM309 series industrial vacuum pressure transducers use a precision micromachined silicon sensor protected by a stainless steel diaphragm. A thin film of oil transfers the vacuum and assures the high accuracy and stability of the sensor. 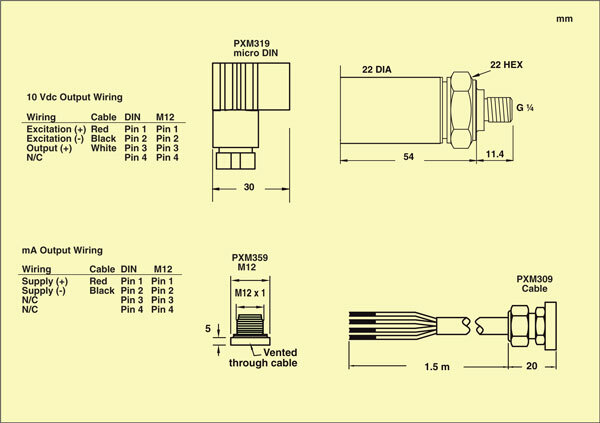 M12 models require vented cable. See accessories above.